"Decades of experience, skill and meticulous attention to detail. From the moment your dress is entrusted into our care we treat it with dignity and thorough attention"
Today and every day, brides from all over the North East come to us and say thank you for the love, care and attention which we lavish on their wedding dress; scrupulously cleaning and preserving it in a beautiful box before handing it safely back into their hands. 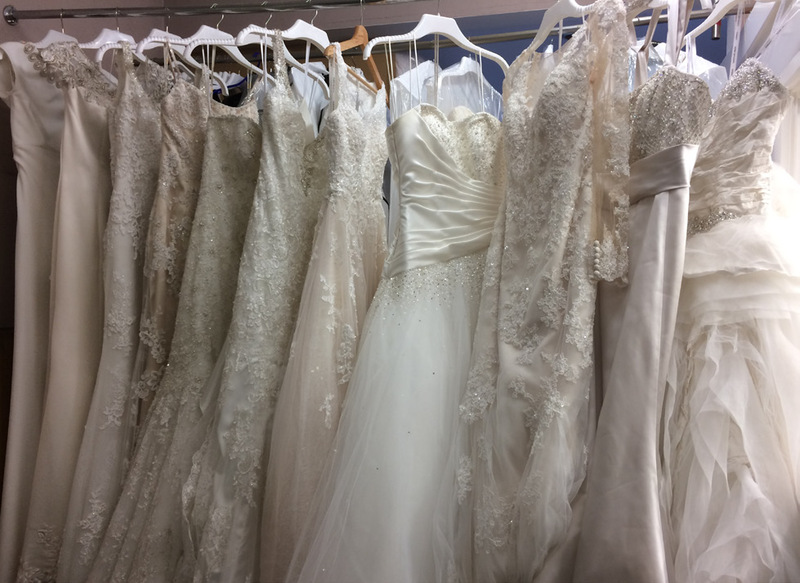 Whether your dream gown cost £800 or £8,000, whether it's by Berketex Bride, Maggie Sottero, Ian Stuart, Vera Wang, or Couture Dior – we understand best how to treat it and care for it so that you can always reach out and touch your special memories now and in the future. We treat every dress as unique, whether it's classic or contemporary, modern or vintage, hand-painted or handmade. 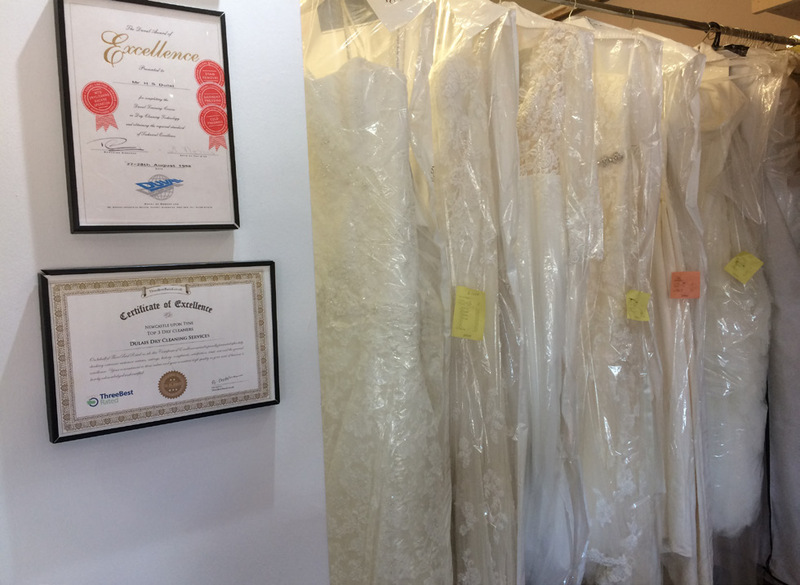 Every cleaning process should be unique also, so here at Dulais, Nav and his team treat every dress as an individual, creating a bespoke cleaning process for your gown and your gown only; often cleaning an entire dress exclusively by hand if we feel it is too fragile for anything else. Our techniques are painstaking, time-consuming, and highly successful, which is why our brides tell their friends about us, building our reputation through word of mouth alone. We are also used and recommended by some of the country's most reputable wedding dress retailers and dress makers. That's because only a specialist wedding dress cleaner who understands about fabric care and has expert knowledge about textile cleaning chemistry can really know how best to care for the intricate trims, fragile embellishments and delicate fabrics used in the construction of your dress. At Dulais, we are extremely proud to be the only specialist wedding dress cleaner in the North East. We view taking care of your dress a responsibility and a privilege, always going the extra mile to ensure we achieve the optimum result, meaning you know that your cherished dress will be treasured now and for generations to come. Probably the most experienced wedding dress cleaning technician in the North East, having personally cleaned thousands of wedding dresses from virtually all of the leading brands and designers in the bridal fashion world, Nav is a true craftsman - passionate, skilled and highly talented with more than 20 years of hands on experience and technical expertise , ensuring every dress entrusted into his hands receives the utmost care and attention. "There's nothing I love more than using my skills to achieve what many brides think is impossible. I get to restore and preserve their dreams forever!" Trained by SATRA, one of the world's leading authorities in textile care, he continuously updates his skills and training, staying at the very forefront of the industry, enabling him to offer brides a truly personal and outstanding wedding dress cleaning & preservation service which is second to none.